​2. Finish Mexican-American War Mingle. #22. Read the “1800’s Reform Movements Poster” directions in the link above and pick one of the 4 different topics. Using your textbooks (AHON chapter 12 and History Alive! chapter 18) and other online sources (such as Tree of Ed,) research the reform movement that your chose. Make a poster that includes the information that you learned. Make sure that you read over the grading rubric on the directions to help you plan you poster. ​TEST: Westward Expansion: Tuesday/Wednesday, April 3 & 4. Here is the study guide. ​​Reminder: There is a Westward Expansion test on Tuesday/Wednesday, April 3 & 4. Here is the study guide. 2. Mexican-American War Mingle. #22. You will be assigned one of the "Mexican-American War Character Cards." Learn about your character's opinion of and role in the war. Then, mingle with other students in the room to learn about their characters and answer the 8 questions below. You can only use each character once. As always, make sure to answer all questions in complete sentences. 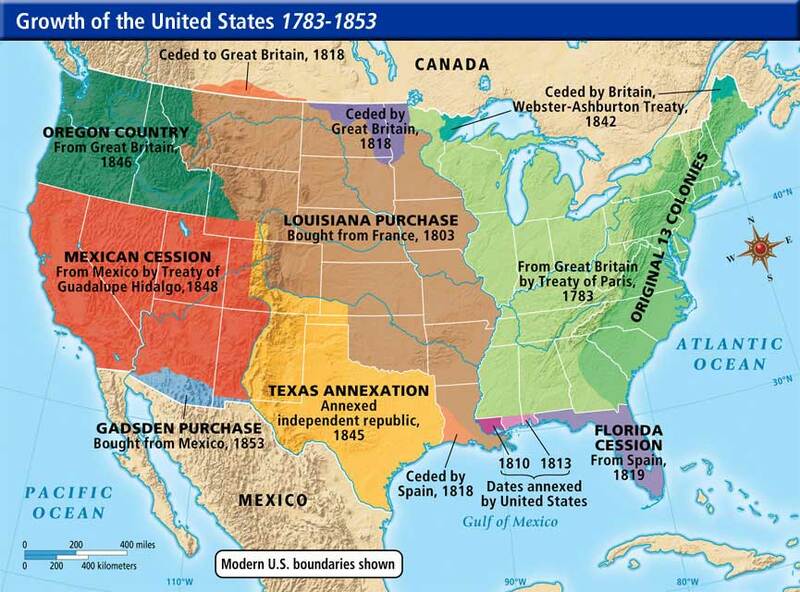 If you are absent or need to finish for HW, the information is posted here: "5-Mexican Cession" tab in the Westward Expansion Unit on TreeofEd.com. 1. Find someone who fought in the war—on either side. Who is the person? What was their experience like? 2. Find someone who supports the U.S. war with Mexico. Who is the person? Why do they support the war? 3. Find someone who opposes the U.S. war with Mexico. Who is the person? Why do they oppose the war? 4. Find someone who has an opinion on why the United States is at war with Mexico. Who is the person? What is their opinion about why the United States is at war? 5. Find someone who saw things in the war that shocked them. Who is the person? What shocked them? 6. Find someone who lives in a different part of the country than you do—or lives in another country. Who is the person? What do you agree on about the war? What do you disagree on? 7. Find someone who stands to gain from the war. Who are they? How might they benefit? 8. Find someone who stands to lose from the war. Who are they? How might they suffer? ***If you have completed more than 50 hours of community service this year, you are eligible for the Presidential Service Award. Please submit your hours by April 2. ​***As a requirement for the SCPS PreIB program, 8th grade students must complete 24 hours of community service. Due by May 18. ​1. Due: Life in the West Mini-Project. As you watch, take notes on "reasons to go west" and "hardships in the west" and answer questions 3-6. *If you are absent, you can watch the video on Youtube. America: The Story of Us, Episode 3 "Westward"
Inside: tally your points, finalize journals, count up the death toll. ***A. Your Life in the West Mini-Project is Due Thurs/Fri, March 29/30. See the complete directions below. ***B. We'll be outside on Tues/Wed to reenact the Oregon Trail. Dress for the weather! Also, I recommend that you play the video game before you come to class. As you watch, take notes on "reasons to go west" and "hardships in the west" and answer questions 1 and 2. We'll finish the video later. 2. Watch the buffalo hunt scene from the film Dances with Wolves. *Tip: do NOT click the "Full Screen" option. This often crashes the game. After you finish the Westward Expansion unit, pick one of the following groups of people who lived in the West (topics) and complete one of the activities below. Look in the “Life in the West” unit on TreeOfEd (Tab 7 Moving West) or Chapter 16 in the History Alive! textbook (pages 212-228) to gather information about your group of people. You may use other resources (AHON Ch 13.4, web search, etc.) as well. 1. Create a Comic Strip. Explain your topic in a color comic strip (think Garfield or Peanuts), complete with illustrations and dialogue bubbles/captions. Your comic strip needs to have at least 8 cells (boxes). 3. Poster. Create a poster that describes your group and their role on the settlement of the West. Include text and illustrations. 4. Poetry. Write poetry that captures the content and feelings expressed by the people associated with your topic. An “Inside/Outside Poem” format would be ideal for this activity. Get the directions page from the teacher if you pick this option. Or write another style of poetry that is appropriate to describe your group. 6. Digital Presentation. Create a digital presentation (prezi, powerpoint, etc.) that describes your group and their role on the settlement of the West. Include text and illustrations. 3rd Quarter Exam: Wednesday and Thursday, March 14 & 15. Here is a study guide. A. Start by reading the introduction page. Then do the Gateway map task on the #17 Westward Expansion map that you colored last week. B. Go out and explore the Milwee courtyard to find the QR codes for Elements, Friend or Foe, and Wildlife. Scan them with an iPad QR code reader and do the assigned tasks. There are 3 QR Tasks outside; the order of completion does not matter. finish for HW, if needed. ​2. Study for the 3rd Quarter Exam: Wednesday and Thursday, March 14 & 15. Here is a study guide. ​1. History Handbook Unit 8 Westward Expansion initial ratings. a widely held belief in the United States that its settlers were destined to expand across North America. Identify 10 things that you see in the painting. "4- Jefferson's Domestic Affairs" Read the article and answer the 4 questions. 1. Review Andrew Jackson T/F Statements #15. Turn in. 2. History Handbook Unit 9 Jackson Central Questions. 4. Finish Andrew Jackson: Hero or Villain? double-sided poster about President Andrew Jackson. (See directions below.) Due by Thurs/Fri. Color and label the outline map using the completed map below as a guide. Use highlighters or color pencils to color the map. Finish for HW, due Thurs/Fri.